Home Excerpts Experiences That Matter: Blacktop Mojo Live! Contrast CTRL has Blacktop Mojo in the past so it’s no surprise they get another feature but this time from a live setting and interview! The first and hopefully not the last time this happens might I add. Matt James of the band spoke with me about the recent tour and answered some other fun questions. Before we get into that, I wanted to talk about the venue and the live experience. 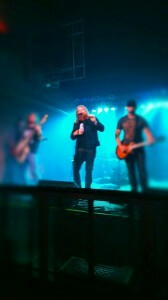 The venue was Capone’s in Johnson city TN. A nice small place in the center of town that has a great open floor layout and guitars strewn across the wall with some famous signatures attached to them. Needless to say this place has created a special musical history for itself. The opening acts that signed on to support this tour were archaic knowledge. A sludge rock band from the local area and the Kimberly white project from the Carolinas. Both acts were intriguing and gave a different vibe to what Blacktop Mojo is known for. All in all both acts really set a great tone for what was to come next. Once Blacktop hit the stage, the bands energy instantly hit full effect and got everyone who were in other areas of the venue to take notice and come listen. The friends who tagged along with me for the journey were at first taken aback by the lack of crowd for the band and weren’t used to crowds of smaller size. It was pretty amazing as a musician to see that even though so little showed up to experience the show, the bands didn’t let that bring them down! In my talk with Matt, he mentioned this string of tours was meant to show appreciation and a big leap of faith to encourage anyone and everyone to come and see what Blacktop Mojo is all about. A very bold move for a band of this nature but I think a great one too. While the venue didn’t do much in terms of promotion even through social media and official website, all bands involved made best of the circumstances and put on a fun show. So bad on you Capone’s, do better next time okay? Why free concerts? “We really didn’t want anybody to have not to come to the show, so free is kinda the best way to do that. It’s also allowed people who don’t have a lot of money to come, we are broke musicians so we understand that. Pretty amazing if you ask me, Blacktop Mojo aren’t signed to a major label and are fully committed to music as a living, tours aren’t cheap so It’s very commendable that these guys have been giving folks the opportunity to hear the music and enjoy a free live show. Another interesting milestone for Blacktop Mojo is this will have been their largest tour to date. “I think over 15,000 miles so far” Matt says as we discuss things so far. Being an indie musician often teaches you patience, endurance, and stamina as the miles get longer and the shows are constant, so touring can be pretty tough and uncertain which makes going ot events and talking to musicians like this all the more worth it. Talking again about the culture shock one can have when entering a small venue and seeing great bands play for so little people can bring up many questions. Are the bands good? Why isn’t this place packed?? Coming from a place of experience it’s worth the trip to be in a smaller setting just to be able to connect with the musicians, learn about the struggles of the road, the lives left behind to travel so far. In doing this you learn and share respect for those people who are there to entertain you and keep you happy. Supporting local music is a wonderful thing because you never know who will be the next big star or have the next hit single on the airwaves. It’s always encouraged you step outside the comfort zone to get more into the music. I’d like to thank Matt James, Nathan Gillis, Ryan Kiefer, Kenneth Irwin, and Matt Curtis for the rocking live show and the great band merch and photos I was able to take. 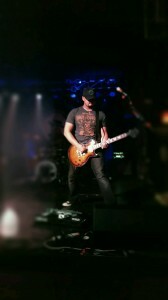 Also Ryan for showing me the bands guitar vault and seeing the amazing guitars provided by the Gibson endorsement! So congratulations on that guys. As for the venue itself. It was nicely arranged and allowed for a great atmosphere to the music. The lack of advertising and staff interaction was a bummer personally but I’m sure being in the business night in and out can often make you numb to people’s excitement of good music. Hopefully in future visits to Capone’s things will be a bit more interactive and energetic. 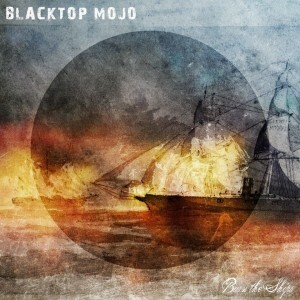 With the negative aside, Blacktop Mojo have 2 albums out ‘I Am‘ and ‘Burn The Ships‘ that provide plenty of southern rock sound as well as some acoustic tracks that create their own atmosphere to things. Blacktop Mojo, Burn The Ships, Capones, Contrast CTRL, Experience, Interview, Johnson City, Matt James, Matter, Rock, Tennessee, That. Bookmark.